I think that most horror fans are all kinds of excited for the Sam Raimi/Bruce Campbell endorsed Evil Dead remake that will hit theatres in April. If that prospect was not enough, a few days ago the original Evil Dead’s director, Sam Raimi, made what sounded like an incredibly exciting announcement (via /Film). Raimi said he would begin working on an Evil Dead 4 script over the summer. The script would probably be written with his brother and frequent collaborator Ivan Raimi, who scripted Army Of Darkness. Hmm. I call shenanigans on this one. Raimi has been a very successful director on the heels of the Evil Dead franchise. He did three Spider-Man films, had an excellent return to horror-comedy with Drag Me To Hell, and is now doing the rounds for Oz: The Great And Powerful. No one had really mentioned Evil Dead until plans for the remake were announced, and Raimi is only involved in that one as a producer and well-wisher. 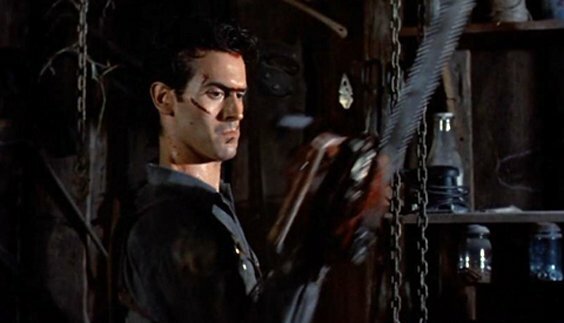 I know that many Evil Dead fans have clamored for a fourth film, but given that Army Of Darkness came out in 1992, how realistic has that actually been? It seems to me that Raimi is back-peddling awfully fast. Claiming that fan demand is forcing him into considering another Evil Dead is sort of unfair. He certainly seems like he can choose his projects right now. If he wants to make an Evil Dead 4, all well and good, but we have a whole new remake to look forward to. How many of us are holding our breaths until Raimi does another one? As far as I’m concerned, I’ll take the original trilogy as it stands. If the remake is half as good as it looks, that will only be a bonus. I could not care less if an Evil Dead 4 happens, but if it does … awesome. What do you think of the prospect of a Raimi-directed Evil Dead 4? Let us know in the comments.